One of the musical treats at Hyper Japan was J-Pop duo Yanakiku, making their UK debut. 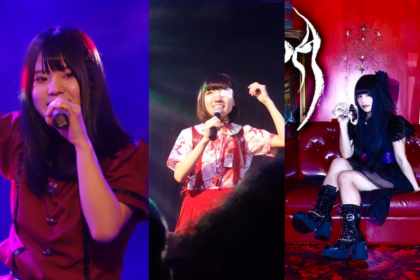 The roots of Yanakiku lie with 4-piece J-Pop outfit Missing Link, of which Yana and Kiku were a part. 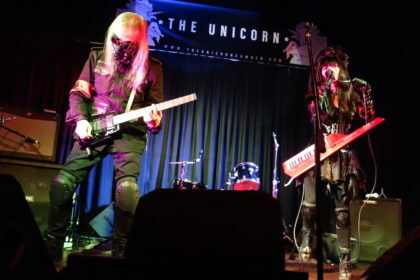 Formed in 2004, Missing Link were signed to the Epic Records label and released three albums before disbanding in 2012. Yana and Kiku then formed a new outfit conveniently called Yanakiku and issued their first single ‘Miwaku No Lady’ in the latter part of 2012. Although the original concept of Yanakiku appeared to follow on from Missing Link’s traditional J-Pop style, it’s clear that there was a dramatic shift of style soon after. They adopted the colourful ‘Kimoco’ outfits and pursued a visual style that embraced both contemporary and traditional Japanese culture. Their upcoming single release ‘UP↑SIDE↓DOWN’ is a breezy up-tempo number which captures Yanakiku’s simple and direct style. 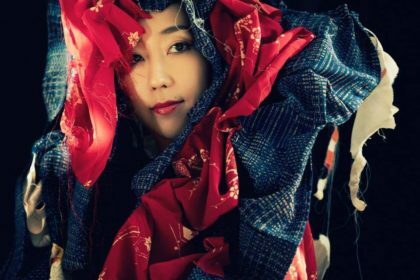 Yanakiku’s desire to weave in traditional Japanese cultural aspects into their look is apparent in the ‘UP↑SIDE↓DOWN’ video with its historic village setting. “We took it in a single day” muses Yana, “From right in the morning to late at night, we were there all day. It’s a tourist spot called Nakamurake which is a recreation of a Edo-period town or village”. Yana and Kiku have a striking resemblance to one another, despite not being related (they’re often mistaken as twins), although their personalities are quite distinct. Yana is the quieter, more serious of the pair while Kiku exudes a more outgoing personality. “Yanu really behaves like a big sister to me” Kiku suggests with Yana adding “Kiku really butters up to me a lot and she’s really sweet and innocent sometimes. But she’s really strong person in her own way”. The stage performances for Yanakiku utilise very precise choreographed moves which are a far cry from many of the hyper-kinetic dance moves beloved of other contemporary J-Pop outfits. It gives the duo a unique aspect, but there’s also a practical reason for their dance style, which is the ability to sing without being out of breath! How long does the choreography take to perfect? “Really, really long!” exclaims Yana, “ We practice every day and we actually brought two completely new songs and dance routines. But obviously because we had to bring them and we had no time to do it, we really hurried through getting them ready. Each one took about 2 days to get ready”. When pressed on inspirations for their sound the girls are quite candid: “We really want to go for originality in what we do. The inspiration for our songs, our producer he’ll say one small thing and that will become the inspiration for the whole song. So for example, the word he’ll give us is something like ‘goldfish’ or ‘Golden Gai’ or ‘Mount Fuji’”. “For instance, in the song ‘Golden Gai’ which, if you’re not familiar, is the red light area near Shinjuku” adds Tomoaki, “It’s basically where middle-aged guys go to drink and have fun. It’s that kind of area. And it’s not the sort of area that young girls like this you’d see going to. So we thought ‘OK, we’ll send them there’. Just get them to go and see what they think about it and what kind of reaction they get and just make the song based on that. So that was the idea behind the ‘Golden Gai’ song”. 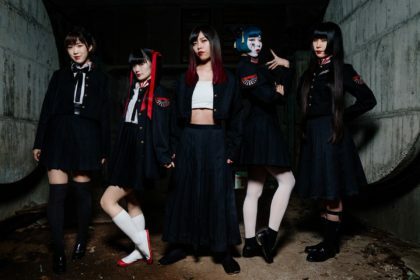 Plans for a follow-up release to ‘UP↑SIDE↓DOWN’ are in progress and producer Tomoaki Ishikawa suggests that either the chiptune melodies of ‘Kingyo Paku Paku’ or the energetic dance pop of ‘Fujiyama Disco’ will form Yanakiku’s next release. Their experience at Hyper Japan has certainly made an impression. “It’s a great event” Kiku exclaims, “we were also really surprised that there are so many people here in London and England who were interested in Japanese culture, that was a big surprise”. Yana is equally enthusiastic: “There are so many types of Japanese culture. You’ve got the anime, the kimono stuff and then the food as well, that’s something that really shocked us, all these people out there looking at all the different types of Japanese food available and everyone’s ‘Oh this tastes lovely, this is really great’ and that made us really happy seeing people enjoying Japanese food”. 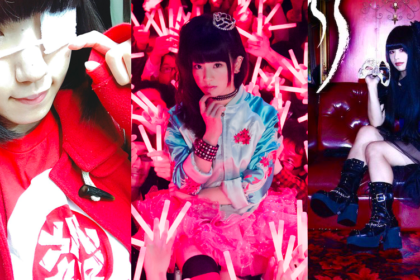 It’s clear that Yanakiku’s energy and enthusiasm managed to win over a lot of people on their UK debut at Hyper Japan and a return to these shores looks like a sure thing. ‘UP↑SIDE↓DOWN’ is due for release on 7th September. 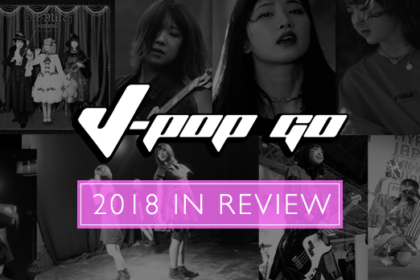 J-Pop Go extends its warmest thanks to Yana, Kiku, Tomoaki Ishikawa, Briarley Van Zyl and also to the Hyper Japan team.